Job Done Locksmith is your friendly, local car locksmith serving Denver and surrounding areas across the Front Range. As a locally owned company, we operate 24/7 and dispatch locksmiths in surrounding areas any time, day or night. Rest assured that all our specialists are highly qualified, quick responding, reliable, and professional. We make sure that our locksmith services are done right, complete with the proper equipment to handle all of your needs. We have all been there before: locked out of our car with no spare key. Unfortunately, this incident can occur virtually any time and any place. You end up stranded on the side of the road, a parking lot, or even in the driveway of your own home. This is why it is essential to have a trusted car locksmith in Denver to call so that you can get back in your vehicle and on the road. 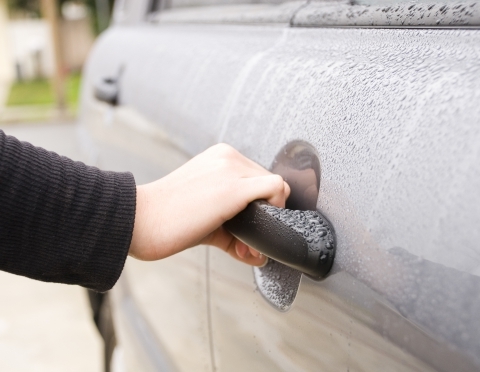 There are several reasons to require a car locksmith in Denver. Aside from the basic need to obtain your keys from the interior of a locked car, other car locksmith issues may occur at the most inopportune times. Your key may break while stuck inside the ignition, or the locks themselves may be faulty or rusted. Not to worry! Our car locksmith technicians are trained to repair and replace all domestic and foreign vehicle ignitions, provide key cutting for all kinds of car keys, and offer key removal from all types of vehicle ignitions and car doors. You may have recently purchased a new-to-you or pre-owned car. If this is the case, you don’t know whether or not the previous owner had duplicate keys made. Therefore, it is much safer to change or replace the locks altogether. As a locksmith company that attends to all kinds of automotive issues, we can greatly sympathize with our clients’ frustrations. This is why our top priority is to give you access to your car as soon as possible. Once you call Job Done Locksmith, we will immediately dispatch our mobile locksmith technician closest to you, whether you need a vehicle locksmith in Denver, Colorado, or along the Front Range. While you may be tempted to simply break into your car, retrieve the keys, and worry about fixing the problem at another time, breaking into your car can cause far more damage than it is worth. As a company that addresses vehicle lockout problems on a daily basis, we know that there are repercussions associated with accessing a car without using the keys. We can help you get a car key replacement or let you into your car to prevent further expensive damage costs later. Depending on the car door design, handle, lock design, and access to the door, it is very easy for something to go wrong. Not only can you destroy the interior of your vehicle, but you may damage the window frame and cause severe injury to yourself. In addition to that, you may leave broken glass on the ground, which can cause tire damage and other damage to your car. Instead, call a trusted car locksmith in Denver, Job Done Locksmith, any time, day or night. We will do the job for you! Job Done Locksmith is among the most trusted car locksmiths in Denver. Our technicians have the tools, training, and experience to know how to handle a wide range of locksmith issues. We know what it feels like to be in a situation where you are stranded. This is why our team is available 365 days a year, including major holidays. Not only that, our locksmith technicians carry the most advanced technological equipment to aid in any ignition or lockout issue you may have with your vehicle. The job can be done on the spot, where you stand, to help get you back in the driver’s seat and on your way to your destination quickly. We pride ourselves on being your go-to car locksmith in Denver and across the Front Range. This means that whether you call at 6 pm or 2 am, Job Done Locksmith is able to step in and help. 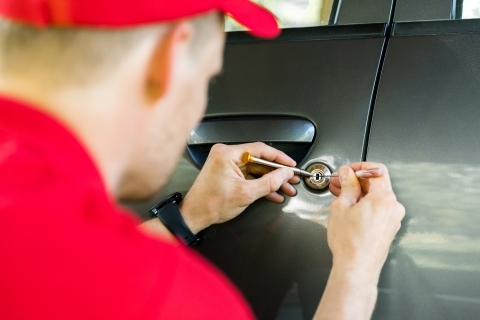 If you are in the area and find yourself in a situation where you require a car locksmith in Denver, you simply need to remember that the job is done well with the locally owned and operated Job Done Locksmith. Not only that, we offer a guaranteed 90-day warranty on every single lock and locksmith service that we provide. Also ask about our Rekey Special, which offers our rekeying service for as low as $19 a lock! Call us immediately at 720-547-1286 to help you get back in the driver’s seat and on the road. We go the extra mile so that you will never be stranded again.